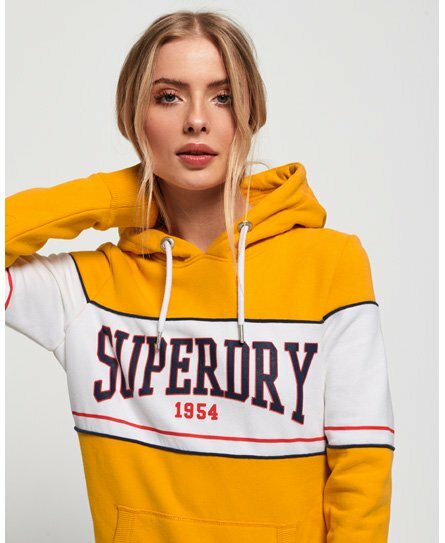 Superdry women's 1954 mock applique hoodie. This 1954 mock applique hoodie features a colour block detailing across the body and sleeves completed with a Superdry logo graphic. This hoodie also features a draw cord hood, ribbed cuffs and hem and a large front pocket, and tab on the side seam above the hem.